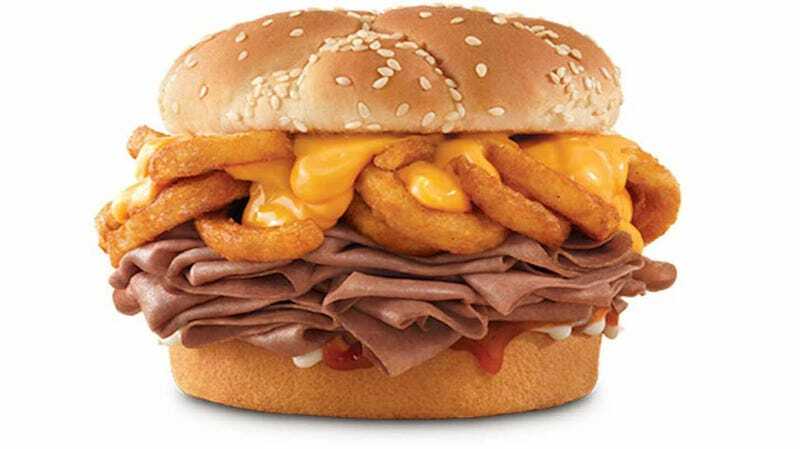 The sandwich includes thinly sliced roast beef topped with curly fries, cheddar sauce, Arby’s sauce, and Horsey sauce on a sesame seed bun. It is available Nov. 19 through Dec. 23 in classic, double, and half-pound sizes. The Takeout’s judgment? We see no problem with this. Curly fries or French fries on a sandwich sounds perfectly fine. As you were.